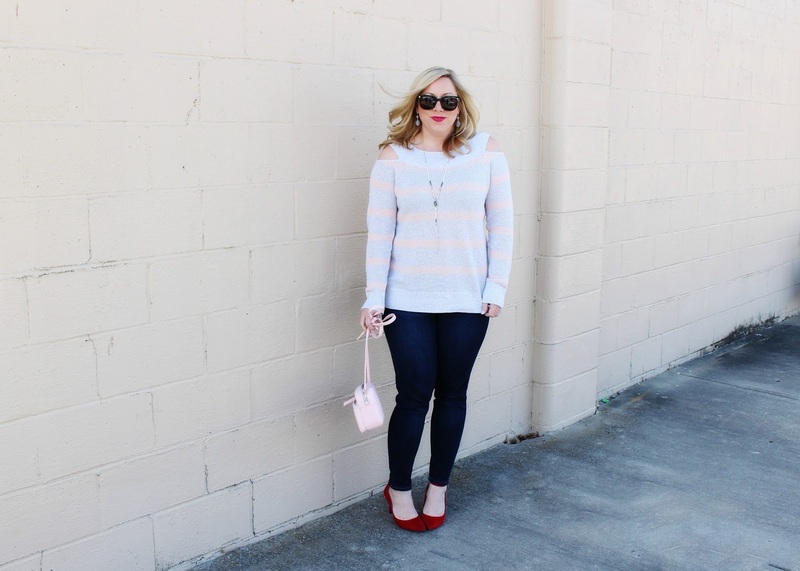 Today's Valentine's Day look is all about pretty, causal details! 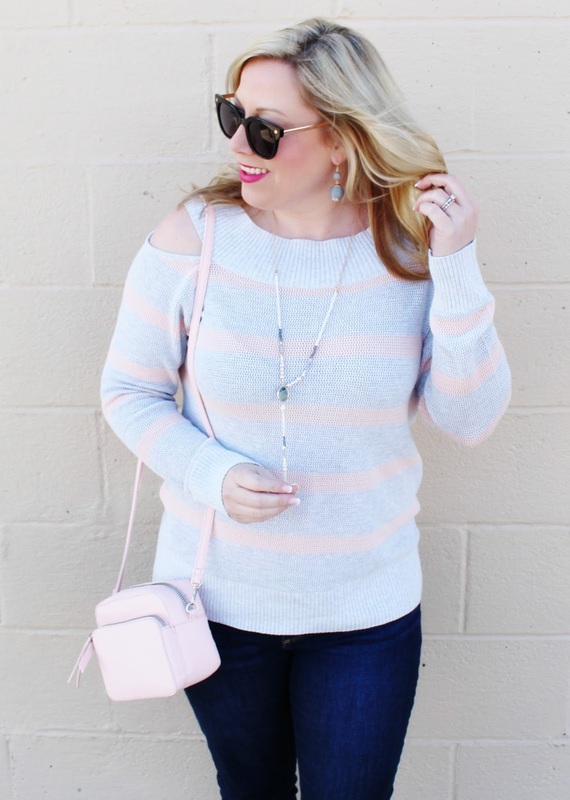 I saw this sweater while shopping at Maurices at Summit Fair and just knew it was a perfect spring piece to add to my wardrobe plus a sweet simple style for Valentine's Day! 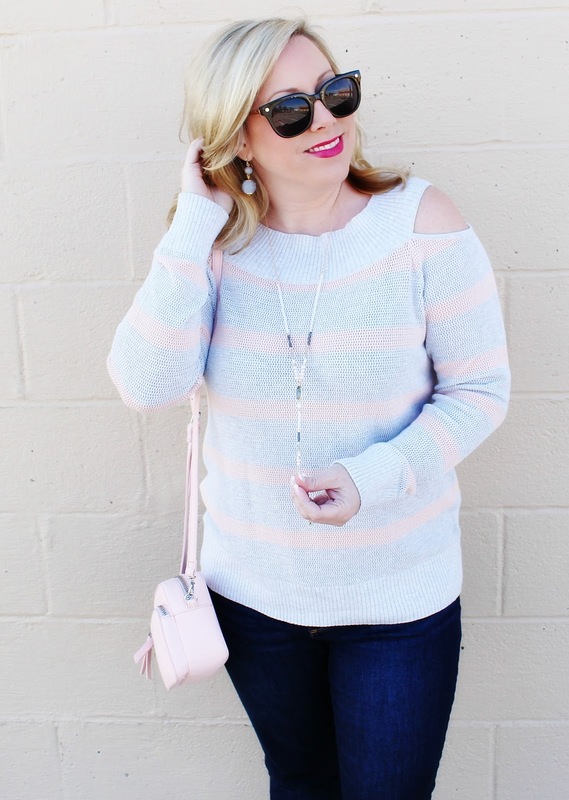 I love the cold shoulder details and the light weight knit style! This year V-Day falls on a Wednesday so I decided to style a more everyday causal look. One way I like to dress up more simple outfits is to add in pops of color with accessories for fun. 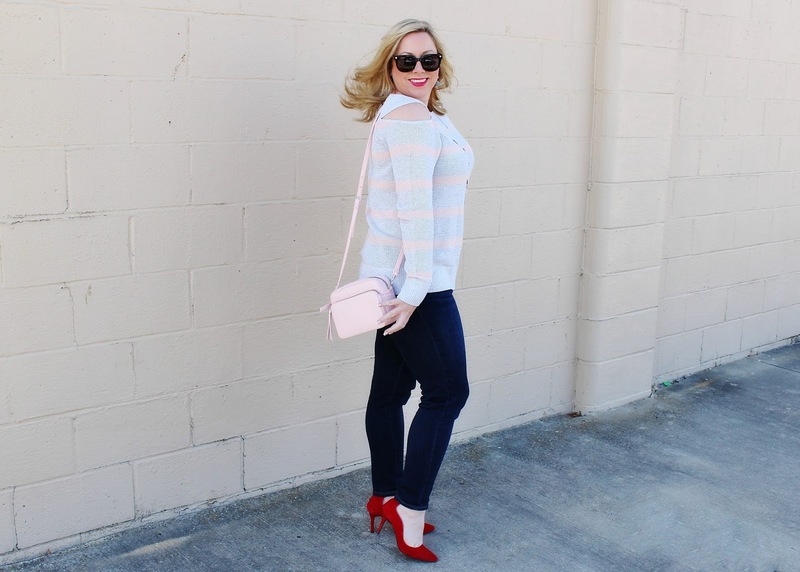 Red pumps and a pretty pink purse are perfect for the day of L.O.V.E. I've slowly been starting to add pieces to my wardrobe that are perfect for layering up now while it's colder but will also be stand alone pieces once the weather warms up. Transitioning from winter to spring is a little bit harder than transitioning from summer to fall for me. 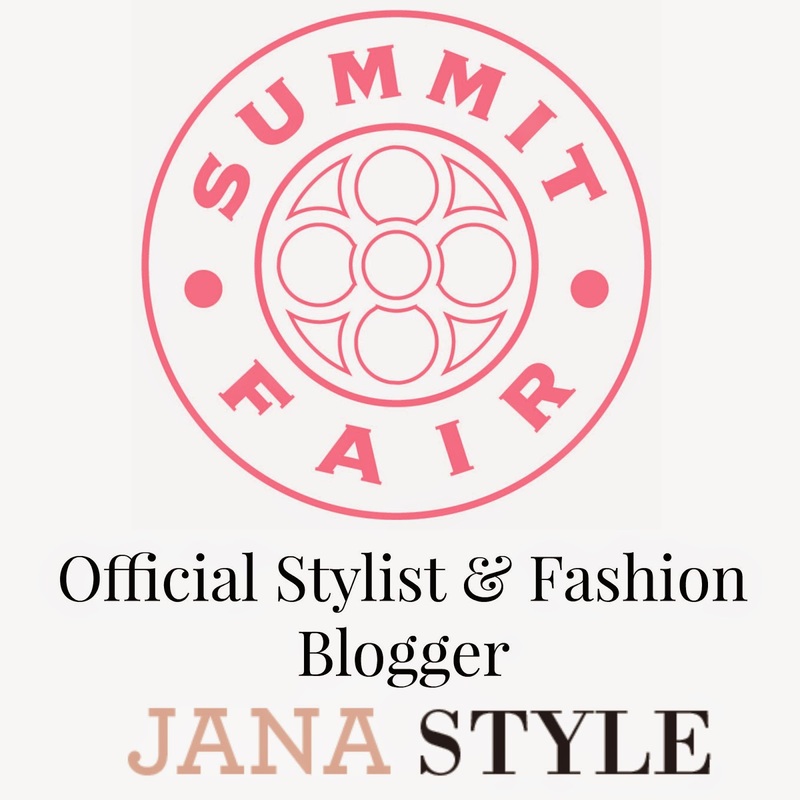 It takes a little bit more effort to choose pieces that make sense for both seasons and can be worn multiple ways. 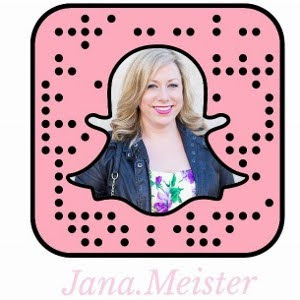 I am so excited that the stores are starting to fill up with tons of new merchandise which means spring is right around the corner! 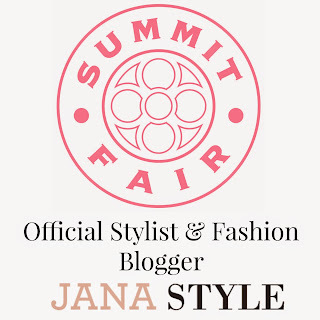 If you are still looking for the perfect Valentine's Day Gift Ideas for your Galentines or yourself ;) Check Out my Summit Fair Valentine's Day Gift Guide! 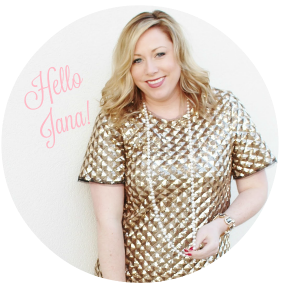 I'm loving this cute and casual Valentine's Day outfit, Jana! Your shoes are so chic!! 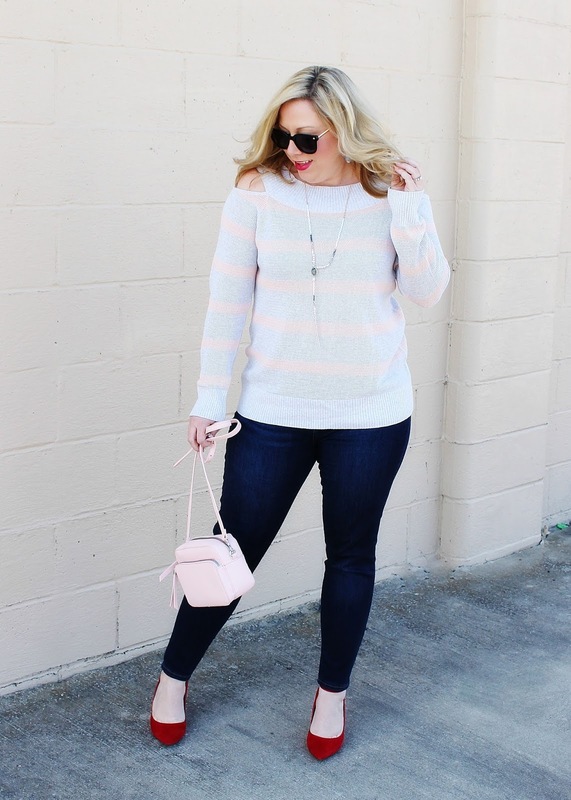 Such a pretty sweater, loving the the stripes! I love that sweater! Such gorgeous soft colors. Love the mix of pink and red together! The accessories are also understated but adorable! I love this look it's such a cute but great outfit for a casual night. I love the shoes, the red is a great pop of color!